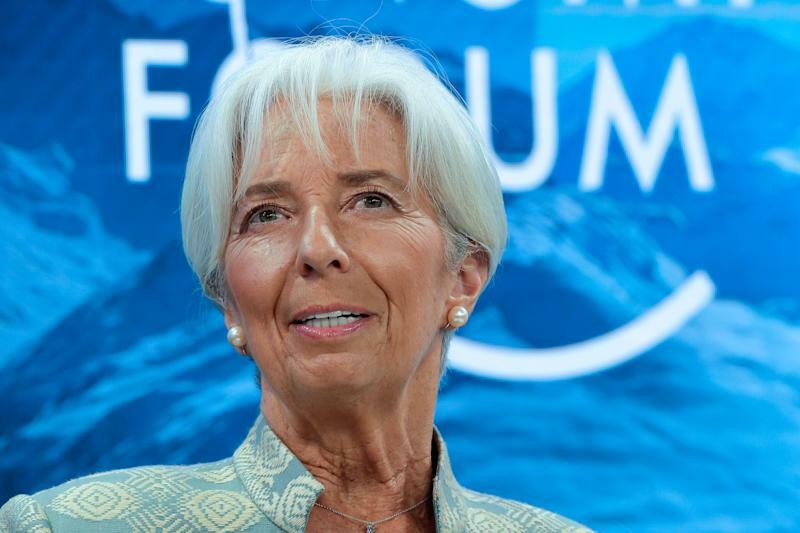 The lack of women in finance is unfair to women and bad for banks, International Monetary Fund Managing Director Christine Lagarde told Yahoo Finance this week at the World Economic Forum. Lagarde made the comments in a conversation that appeared on Yahoo Finance on Thursday at 5 p.m. EST in a special Davos episode of “ Influencers with Andy Serwer ,” a weekly interview series with leaders in business, politics, and entertainment. In addition to a wide-ranging conversation with Lagarde in which she shared her advice for President Donald Trump, Yahoo Finance Editor-in-Chief Andy Serwer spoke to two other women business leaders: Mary Erdoes, JPMorgan's Asset & Wealth Management CEO, and Lynne Doughtie, KPMG's U.S. Chairman and CEO. Serwer also spoke to musician and tech entrepreneur will.i.am. “My encouragement ... be careful what you look like,” she added. JPMorgan Asset & Wealth Management CEO Mary Erdoes speaks with Yahoo Finance Editor-in-Chief Andy Serwer. Doughtie, the head of KPMG, echoed Erdoes’s concerns about the trade war between the U.S. and China and its effect on the global economy.